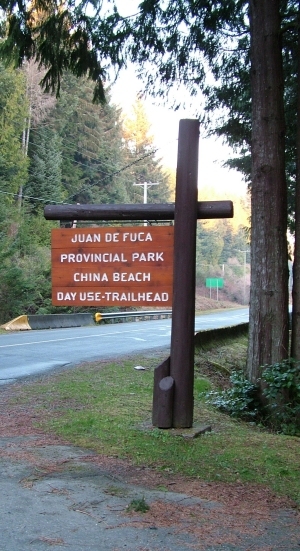 China Beach is the start or trailhead of the Juan de Fuca trail. Botanical Beach is the finish. 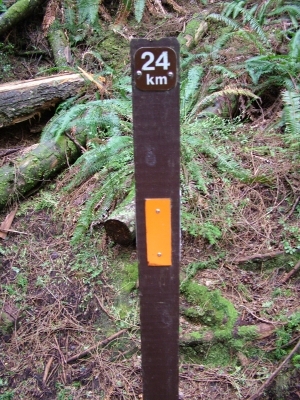 One of the most strenous hiking trails to be found on the west coast of Vancouver Island, it winds 47 kilometers up the west coast of Vancouver Island. 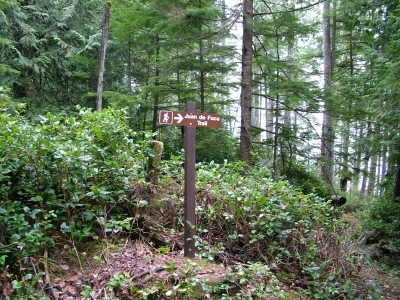 Also available for easy day hikes, there are many easy entry points along the trail. 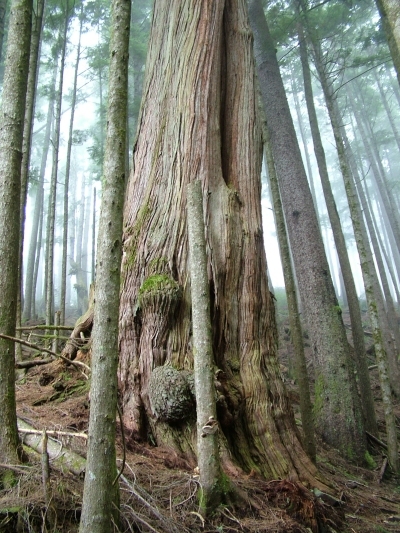 There are no reservations needed, no fees for hiking, and in the summer there are often park facilitators on the trail who can answer many questions about the history of the trail and the wonderful bio-diversity to be found along the way. 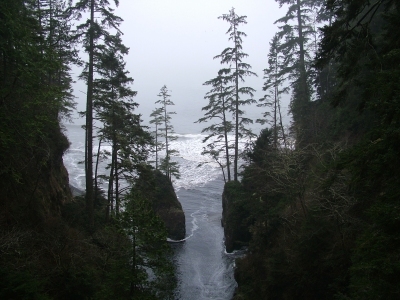 The many vistas along this coastal hiking route offer awe inspiring views year round. The rugged terrain should not be overestimated, this is an extreme hike, winding 47 kilometers along many rivers and valleys. 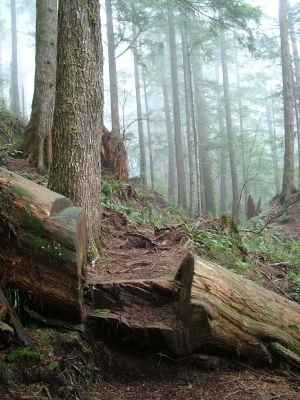 There are many obstacles along the way such as these log steps which occur frequently along the trail. There are four suspension bridges along the way, which always offer pleasant views. 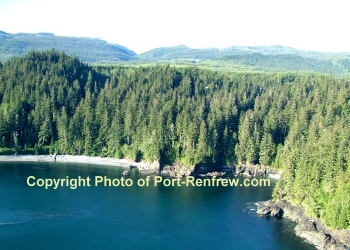 Most of all, there is the humbling size of the trees, the beauty of the ocean, and the diversity of the rainforest.